Be inspired and challenged by the lives of God's people in the early days of the church. Be inspired and challenged by the lives of God's people in the early days of the church. 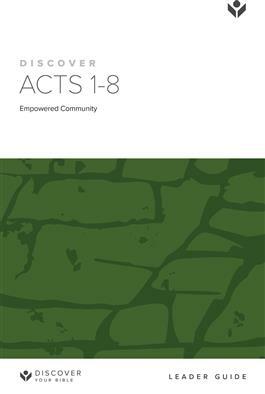 The book of Acts is the exciting account of the Christian church's birth and early years. It tells of the violent opposition the young church often faced from both Jews and Gentiles, as well as problems within the church itself. Acts also bears witness to the power of God's Holy Spirit, who guided and empowered the church as it boldly preached the gospel of salvation throughout the Roman world.